We are shooting a music video for “Dios de los Redimidos” which is the Spanish version of God of the Redeemed which has been very effective here on this trip. Our host church Mar Adentro has a call to reach the Spanish speaking population of the world through TV which works out good because we feel called to the same group of people. We had a lot of fun filming and drawing a lot of attention in Cusco and Machu Picchu especially when we used the drone. This was our film crew. 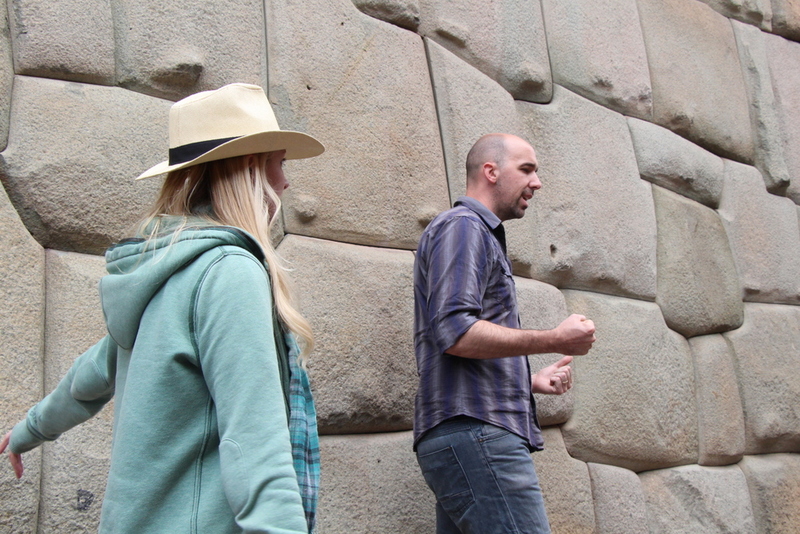 This is us singing by Inca stone walls. Not pictured are about 50 people staring at us while we worshiped God. One lady asked us if were were from Hillsong – so that made everyone’s day. Excited to see the result of all the hard work. We will let you know when it’s done.